I'm feeling retro this week, and guess what-- so is SuperPhillip Central's Favorite VGMs! I'm taking you guys and gals old school with a special NES edition of the Favorite VGMs. We've got everything from Super Mario Bros. 2 to Disney delights like Chip 'n Dale: Rescue Rangers and Duck Tales 2. You can't have an NES special edition without some Contra, so I'm throwing that in as well. How about some Batman to finish this edition off? Okay! You got it! For past VGM volumes featured in previous editions of SuperPhillip Central's Favorite VGMs, look no further than the VGM Database! 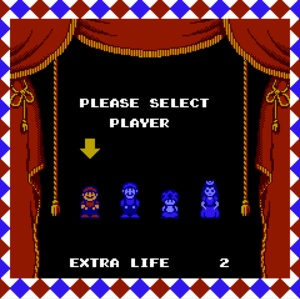 We start this special NES edition with a jaunty little ditty from Super Mario Bros. 2. No, not The Lost Levels, as it's known on the side of the Pacific. I'm referring to the Doki Doki Panic version of Super Mario Bros. 2, complete with playable Mario, Luigi, Princess Toadstool, and Toad. Choose your character wisely, as each has their own unique play style to put you ahead of or behind the proverbial 8-ball! Ch-ch-ch-Chip 'n Dale! Rescue Rangers! Back in the late 80's and early 90's, Capcom and Disney paired together for some absolutely incredible 2D platformers and games. Two of these on the NES featured the dynamic duo of Chip and Dale. 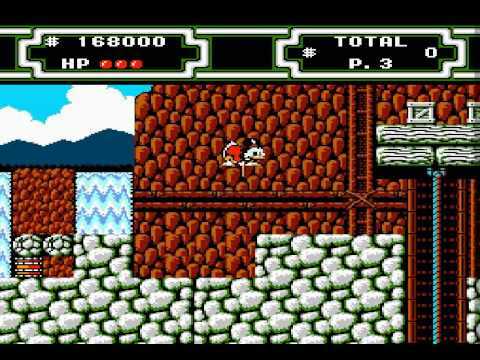 This favorite VGM of mine comes from the very first level of the first game. It makes me want to hook up my NES and enjoy the box-chucking mayhem of the game. With sadness I share this VGM volume. Alan Young of Mister Ed and more recently Scrooge McDuck voice actor fame passed away last week. He was a great performer, and he even reprised his role as Scrooge McDuck for Capcom's Duck Tales remake several years ago. Duck Tales 2 followed the same structure of the original, allowing players to choose their destination and explore nonlinear levels. 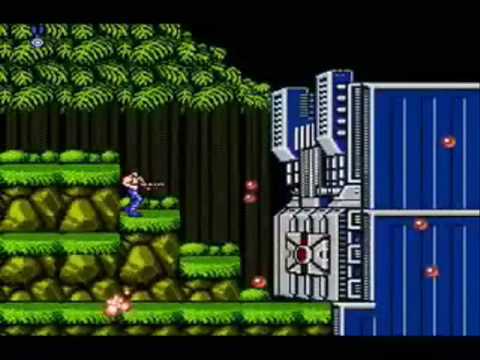 Are you one of the skilled gamers that can beat the original Contra without the famous Konami code? Not me! That's for sure! As a kid, I was lucky to get passed the first level, this action-packed jungle. I must have played that level so many times that every note of this jungle theme is etched in my memory. It's still good to this day! My favorite actor who played Batman is none other than Michael Keaton. He played the dual role of Bruce Wayne and Batman with tremendous ability, showing a slightly unhinged man overall. The game that features his likeliness, modeled after the movie, released on the NES, and it's one of the better old school Batman games. Its soundtrack is classic retro goodness, really pushing that NES sound card to great use.